Tomorrow (aka today when you're reading this) I'm going to my mum's to bake Grittibänze with her (Swiss tradition in early December) and on Sunday it's baking Christmas cookies with my cousins. So... very bakey weekend ;) I'll post a picture of the Grittibänze because I can't explain what they are. 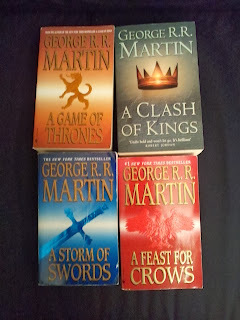 George R. R. Martin: A Game of Thrones, A Clash of Kings, A Storm of Swords, A Feast For Crows. 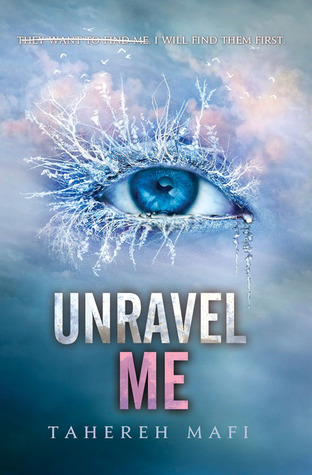 Laini Taylor was a given, and when I saw Unravel Me for only 2.50$ I just HAD to have it!! 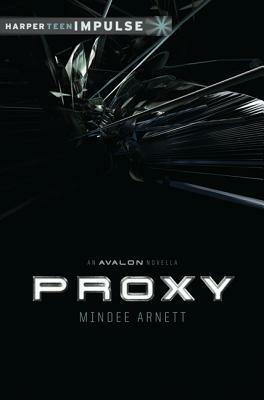 Shatter Me was so good (I read it about a week ago) and the matching Unravel Me edition only comes out in February, so this is a great way to get to read it earlier :) Proxy I wanted because I have Avalon, Mindee Arnett's full length, for review, and I like a prequel novella to get into the setting, especially if it's sci-fi. That's it from me :) How was your week, and what pretties did you decorate your shelves with? Nice. I know RL can get in the way of book blogging, but you have tasty things to eat while reading. 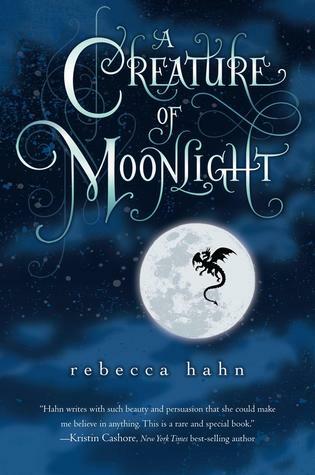 Creature of Moonlight is too pretty. 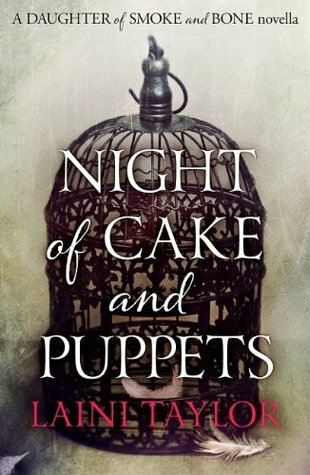 I wanted that one, but decided against it LOL Is Night of Cake and Puppets a novella? I have the first book of George R.R. Martin's series haven't gotten to read it yet. I spent yesterday cleaning, too. Boo! :( But I'm catching up with everyone today, so yay! :D I can't wait to see what you think of Cakes & Puppets. I thought it was absolutely adorable, but it did nothing to sate my hunger for Gods & Monsters. 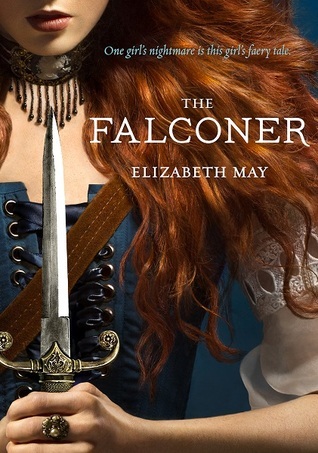 :P I was surprised I got approved for The Falconer, too, but I am oh-so-happy I did. It sounds phenomenal! Hope you enjoy all your new reads! Nice haul! Lots of great looking books. I really need to get myself the Shatter Me series, I keep hearing such great things. I hope you enjoy them all :) My STS. I soooo need Night of Cake & Puppets in my life!!! 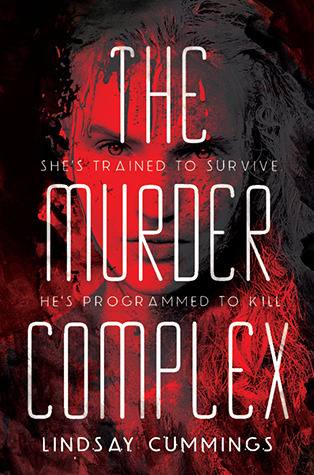 I hope you adore it :D The Falconer, the Shatter Me series and Avalon (+Proxy) are all on my TBR shelf as well! Oh and I definitely need to get into a Song of Fire & Ice series - it's just so huge and daunting atm o.O Anyways I hope you love all of these! !